News Can Community Currency Work? “Community currency” is the name given to currencies that only operate within a certain, local area. They tend to be accepted alongside a national currency – such as the British Pound – which is why they are also often known as “complementary currencies”. 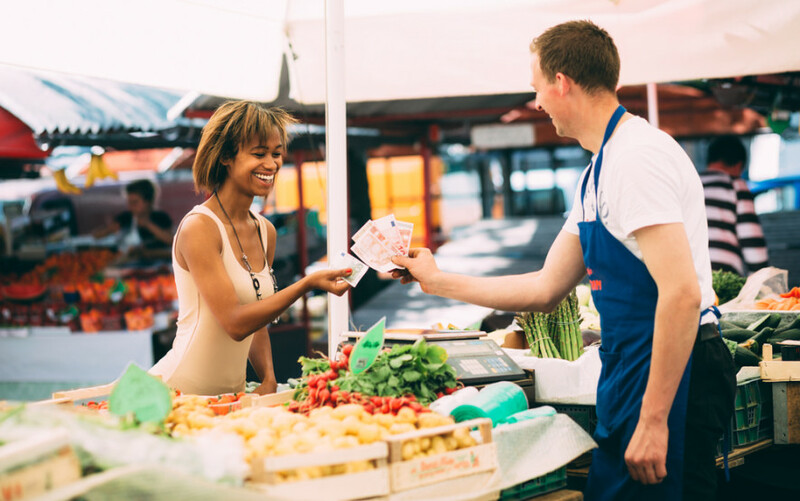 By functioning alongside a national currency, community money such as the Brixton Pound is able to play a role in the country’s economy whilst supporting the local economy first and foremost. Community currencies seek to keep cashflow within their region. This not only boosts local markets, but also encourages a community spirit: by purchasing from small, local businesses instead of big brands online, people become more active, passionate consumers. This creates more active members of the local community – it’s even possible to pay community service – such as caring for the elderly – with a community currency. Does anyone really use them? Famous examples here in the UK are the Bristol and Brixton still going strong after four and seven years respectively. The mayor of Bristol takes their entire salary in Bristol pounds, and all local taxes are paid in the local currency. Both these currencies were initiated and are managed by not-for-profits, which ensures that the flow of local currency behaves in the public interest. Elsewhere in Europe, the French SoNantes, the Swiss WIR, and the Belgian E-Portemonee are all kinds of complementary currency that function similarly to the Bristol and Brixton pounds, and all with the same goal of creating robust local economies alongside community spirit. How does Community Currency work? There are so many reasons community currencies exist that it’s hard to truly say when they’re successful. For example, the SoNantes currency – which is only available digitally – focuses on developing trading networks within the region, offering interest-free credit and alternative payments for local businesses. This has successfully helped small business prosper and grow, something that wouldn’t have been possible if it were left to the big banks. Some people ask why – why would you choose to limit your choices? It seems circular, but the very reason many people choose to support a local currency is that they support the local community. Businesses that take community currency are limited to spending their income locally, too – what goes around comes around. When do they NOT work? Despite the charitable, feel-good purpose of a local currency – it should pull communities together and boost local economies – alternative currencies tend to be used differently. Since the recession, complementary currencies have found popularity for one more reason: they’re a way to opt-out of big banks and national economies. The evidence you need for this is seen in the huge success of BitCoin, a cryptocurrency that can be spent in many places around the world and online. It doesn’t aim to improve any kind of locality or community, but has been much more successful than other, more philanthropic alternative currencies because it seems safe from “the man”. Of course, creators of the Brixton Pound picked up on this and have created a method of payment using SMS, which keeps users from ever needing bank-issued credit or debit cards. In this sense, the Brixton Pound continues to be functional and economically viable. We can only hope that community currencies are able to keep up the competition with cryptocurrencies, or manage to form a strong enough niche of their own. So, are they the future? All the currencies introduced here are still in use, and they look to be picking up steam in the media. The future success of community currencies will depend on what they’re used for – a demand for sustainable, strong local economies and environments would be a niche that could work complementary to cryptocurrencies like BitCoin. If you like the world as it is, then it’s important for community currencies to remain complementary. The global economy as we know it probably won’t disappear any time soon, and if every region in the UK disappeared into its own bubble of local currency it would be hard for the country to play a role in the global market. That being said, come the apocalypse or another financial crisis these alternative currencies might be worthwhile investments. Whether or not community currencies work is a question to which several local governments obviously believe the answer is “yes”. Why don’t you let us know what you think?